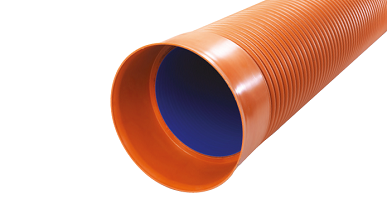 We offer the UK's largest range of sewer systems, combining unrivalled expertise in engineered thermoplastics with the ability to deliver high quality on the scale required by major projects. This is backed by our technical support, for which our reputation is second to none. 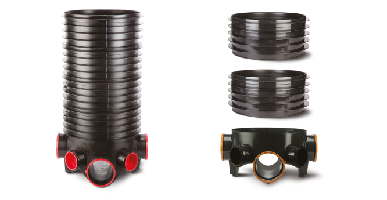 Polysewer, Ridgisewer and Ridgistorm-XL, with diameters from 150-3000mm inclusive, offer integrally socketed sewer pipes for all gravity sewer projects. From adoptable sewers to Capital Works water treatment works, pumping stations and combined sewer overflows, our products and systems comply with CESWI and Sewers for Adoption, have BBA and/or WRc approval, and are approved by the UK water companies. Our products have a lifespan of over 100 years, and are manufactured with an engineered structured wall. Their robust construction and excellent resistance against chemical and sulphate attack means they can be specified with complete confidence on even the most challenging projects. Polypipe systems and support are designed to help you plan projects in terms of total expenditure (Totex), and deliver value over its whole life. 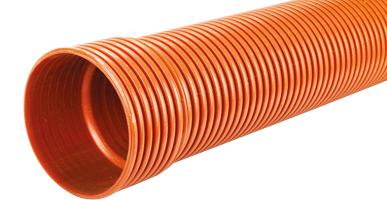 As our thermoplastic pipes are so much lighter than traditional materials such as concrete, they are inherently superior in terms of on-site Health and Safety. Additionally, our manholes and chambers have integral lifting points for safer installation, while our Guardrail and Safety Chain Assemblies are carefully designed to provide optimum Health & Safety conditions during inspection and maintenance activities. Our Ridgistorm-XL system has an optional factory fitted low flow channel increasing velocities of water under low flow, potentially reducing the frequency of maintenance. With the development of new and retrofitted foul, stormwater and SuDS drainage networks, the ability to discharge into local sewer networks is essential.